This New Year once again brings in new DORA forms. 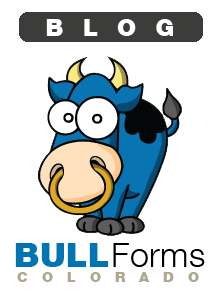 Do not worry, all of the new forms are ready for you to use in BULL Forms Colorado! 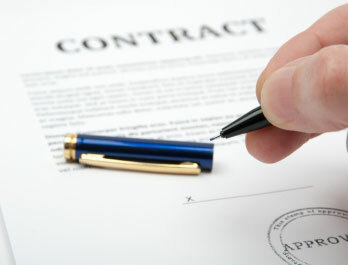 With our software you can easily fill out and save all of your contract information. Integrated e-signatures makes getting signatures a breeze. Ready to get started, click here to signup. Most of the foreclosed homes you can purchase in Colorado will be sold “as is,” meaning that there could be damages, issues that need to be taken care of and more. You can’t be sure whether you’ll need to end up replacing the HVAC unit, repairing a broken wall, or having the pipes looked at. Make sure you have some extra cash on hand to make improvements and repairs upon buying the property. While any problems should be disclosed before the purchase takes place, sometimes you can be surprised with additional issues. Why Do You Think DORA Uses Promulgated Real Estate Forms in Colorado? Looking for a simple solution for generating your Colorado Real Estate Forms, get started now. No one wants to have to evacuate their home, but in the case of the Colorado fires, it may be necessary. The safety of your family is more important than anything, but when you have warning, you can do some essential things to protect your belongings and your home. Here are some things you’ll want to remember when leaving your home. The Colorado real estate is replaceable but your personal items aren’t. If you have plenty of time before evacuating, or if you expect that you’ll have to evacuate soon but there has been no official call, you may have time to create an inventory of your items. To do this, take a video camera with you around your home and catalog as many of your items as possible. Don’t forget personal items like jewelry and other valuable things. Once you have the video tape created, you can make lists at another location using the videotape as a guide. This can help immensely with insurance claims if needed. While in some cases, devastation is unavoidable, there are some things you can do before leaving that will help you protect your home. First and foremost, turn off any gas lines that are going into your home. Close all of the windows and doors in your home so that it’s protected as much as possible. Next, turn on your sprinkler system so that the ground outside is wet. 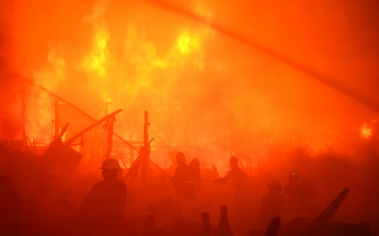 Place materials outdoors that will help with fighting fires, such as buckets full of water, extra long hoses connected to water sources and shovels. Wet the exterior of your home down by saturating it with a water hose. You can replace larger items in your home, but there are some things you will want to have ready to leave in case you must evacuate. Your pets should have carriers ready so that you can get them and go at a moment’s notice, and they should have collars with identification information on them. Make sure to pack a tote bag with pet supplies like pet food, medication, leashes, etc. Don’t forget to pack the video camera with the inventory tape. Gather important documents into folders, such as your driver’s license, your family’s social security cards, birth certificates, and financial items like check books, credit cards and any cash you have on you. You’ll want to also include the deed to your home, medical information and supplies, and the deeds to any property you own, such as car titles. If you have extra time, you’ll want to gather the things in your home that can’t be replaced such as baby books, photographs, and anything with sentimental value. Finally, you’ll want to pack at least a few days’ worth of clothing and toiletry items that are necessities. Although it’s a scary thought to have to leave your home and your real estate behind, being prepared can make it easier for you and planning ahead can ensure that you don’t leave anything essential behind. From all of us at BULL Forms Colorado we are thinking of you and hoping that you are safe. 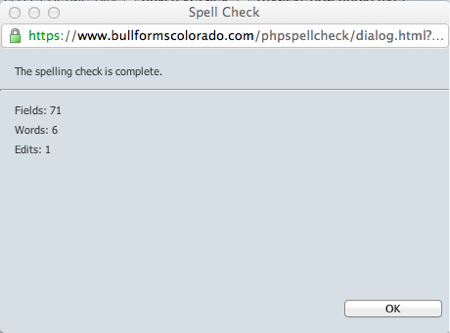 BULL Forms Colorado is your simple, easy, real estate form supplier. Individuals who are considering selling their home in Denver will be pleased to know that the real estate market seems to be rebounding. According to recent data, the prices of homes inDenverare increasing and the available number of homes is decreasing. This can mean several things for both buyers and sellers. According to Metrolist, which is the largest mls service inColorado, the average sales price for homes in the Denver area went up about 6% in April to more than $275,000. In addition to this, the average days on the market for a home in Denver have been decreasing while sales under contract and sales pending contract have increased. The price has gone up about 11% from April of last year for single-family residences in Denver and the number of homes for sale since that time has decreased by 43%. Because inventory is declining, agents, home owners and buyers should expect the market to be competitive in the upcoming months. This often means individuals will need to act quickly and be serious about offers. The Denver market is changing on all fronts. For sellers, this is great news. It means they can expect a higher sales price for their home and likely, a higher number of offers and more competition for their home. They should expect to consider these competitive offers and use this data for their benefit, because it’s a great time to sell a home in the Denver area. Buyers should expect some competition if they’re searching for a home in the Denver area. They should approach home owners with only serious offers and expect to increase their offer, especially if they’re purchasing a home that is highly sought after from other potential buyers. It also means that they should act quickly if they see a home they’re interested in, since the days on the market (DOM) have significantly decreased for homes in this area. Waiting around for the price to come down isn’t a healthy approach with the way the market is currently looking, because it’s more likely that the home will sell to more serious buyers. It’s wise for serious buyers and sellers to work with qualified real estate professionals in the Denver area with the way the housing market is now. Those who are searching for a home may not have the necessary tools to find something that suits their needs and budget, while a professional real estate agent will. 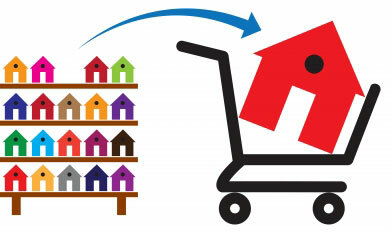 The same goes for sellers who want to reach a larger market of buyers. BULL Forms offers all of your real estate forms online in a simple to use format. Buying a home in Denver. Take a look at our Denver Real Estate Forms. The Colorado climate can be very extreme from month to month. From rain to sun to snow and blizzards, the rapid change in the weather and the change from one extreme to the other can really take a toll on the energy bills. Energy-efficient windows may be able to help reduce heating and cooling costs and help you save a nice chunk of change at the end of every month. As the sun beats down on your home, your windows become hot and will conduct the heat, bringing it through the glass and into your home. The same thing happens in winter when it’s freezing outside. With regular, one-pane windows, you might lose as much as 30% of your heating or cooling energy through those windows. With energy-efficient windows, like double-pane, argon-filled windows, reduce the amount of heat or cold that is conducted through the window and into your home. This saves money and energy. Another way you lose heating and cooling energy is through leaks. Some experts suggest that about half of a home’s heating and cooling energy is lost through leaks in windows and around doors. Typically, cheaper windows are the ones more likely to have leaks. Energy-efficient windows are designed to seal better and prevent leaks from happening. This can also save a great deal of money, as your heating and cooling unit will have to work less to make the home comfortable for the occupants. Another form of energy-efficient window is the high visible transmittance window. These kinds of windows are created to be easier to see through and easier to let the beautiful Colorado daylight inside your home. This helps to provide more natural daylight so you don’t need to use as many lights. 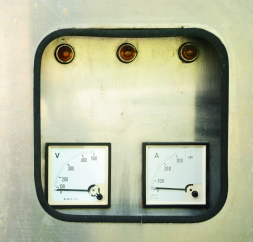 This reduces the electricity and energy you’re using, as well as your utility bill costs. While you’re thinking about energy-efficient windows for your Colorado home, you may also want to think about integrating other energy-efficient products. There are huge benefits to doing so, and the most important one is that you’re going to save a lot of money. Some individuals may even be able to get a tax credit by installing energy-efficient windows and other products. 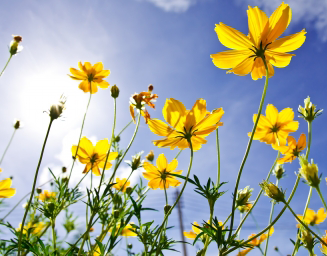 If you’re attempting to become more eco-friendly or you simply want to save money, energy-efficient is the way to go. While energy-efficient windows may originally cost a little more than the single pane or ordinary windows, you will save money in the long run. In fact, a house full of these energy-efficient windows could end up paying for themselves in as little as 6 months’ time. By considering all of the energy-efficient moves you can make in your Colorado home, you can save a ton of energy and a significant amount of money. You may be able to take that vacation or purchase that big screen television after all! Many families and individuals move to Colorado during the winter to enjoy the many outdoor sports that the area has to offer. 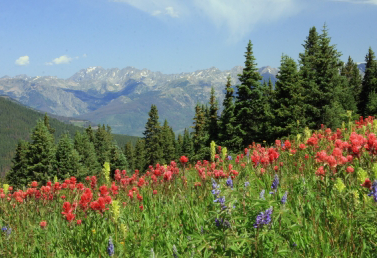 However, there’s an old saying that goes, “I’ve moved to Colorado for the winter and stayed for the summer.” With gorgeous weather and beautiful natural areas, many people are drawn to Colorado in the summer time. It’s a perfect time for real estate agents to target families moving during the summer in Colorado. There are numerous benefits for those families. Like the skiing in the winter,Colorado offers up a wide variety of outdoor summer sports as well. For instance, kayaking, canyoning and wading are just a few great things that outdoorsy people in California enjoy. In addition to that, rappelling the mountains, or learning to climb the mountains is a lot of fun. This allows real estate agents to target active individuals and young families who love to be outdoors. One of Colorado’s greatest draws is its art community, especially in areas near Denver. During the summer, communities come together and have huge art walks so visitors can visit several different booths featuring different artists, styles and mediums of art. Those who visit the art walks might see huge abstract paintings, pottery, jewelry from master jewelry makers, and so many other types of arts. Colorado is a wonderful place for artists, too, as they will be welcomed into art communities and can showcase their masterpieces. All areas of Colorado are family-friendly, making it the perfect place for young families. Colorado features wide open spaces rather than smog-choked cities with buildings just inches from each other. Families will love the activities available to them, from numerous wildlife parks and lakes to museums and art galleries. Many couples who lived in nearby cities might consider moving to Colorado to raise their families, and targeting those individuals is a great idea. The communities and schools are wonderful and few things are better than growing up in the beautiful natural areas of Colorado. Colorado natives rave about the fact that farmer’s markets are more plentiful than grocery stores, so getting fresh, delicious produce is easy. In addition to that, during the summer in Colorado, the ski resorts are transformed into playgrounds. Many offer bike riding or horse back riding, hiking, and even Euro-style bungee jumping. The entire atmosphere says, “Get up and move!” It’s a healthier way of living than in many other areas, so it’s very attractive to families, and even retired couples. Those who want to see green grass rather than concrete everywhere they look are perfect candidates for Colorado homes. Overall, the summer is a wonderful time in Colorado to target individuals who are moving. The area offers up so much, from beautiful, spacious homes to immaculate communities and warm, welcoming people. Of course, there’s always the promise of winter and those fun winter sports in a few months as well! As a real estate agent in Colorado, it’s essential that you advise your clients on the proper kinds of property insurance. While property insurance is important all over the country,Colorado has some unique risks that those property owners should be aware of. By advising them the correct way, you can help them ensure that their investment is protected in the case of extreme conditions. There are 8 types of Colorado homeowners insurance that homeowners can consider. Many homeowners have a Homeowners 1 policy (HO1), but many don’t know that it’s really not enough because it covers so little. When clients consider that it covers basic issues like fire and lightning, burglary, malicious mischief, most think this is enough. However, it doesn’t cover some of the serious conditions that may happen in Colorado. The Homeowners 2 policy (HO2) will cover damages that occur to the home; usually the roof. This includes damage from frozen pipes and damage from weight on the roof from snow or ice. It also covers damage that may happen to appliances from electrical issues. The Homeowners 3 policy (HO3) will cover the home as well as the losses of objects inside the home and some bodily injuries. The HO2 policy also covers those things mentioned in the HO1 policy. The Homeowners 4 policy (HO4) isn’t typically something homeowners will need to worry about, because it is for apartment dwellers. However, the Homeowners 5 Policy (HO5) will cover everything that is covered in the HO3 policy as well as the physical loss of personal possessions. It does have some items that are not covered, so homeowners will need to read their policies thoroughly in order to determine specifically what is not covered. Homeowners don’t typically need to worry about the HO6 and HO7 policies, because these cover condominium units and losses for mobile home units. However, the HO8 policy is an important one because it covers certain things for homeowners that aren’t covered in the previously discussed policies. It covers the same items as the HO1 policy, but it provides cash coverage to homeowners rather than replacement cost coverage. This is most valuable in cases where the home is an older home, and it provides cash value after the depreciation is deducted. By informing clients about Colorado home insurance, you can be sure they’re knowledgeable enough to determine what the best insurance for them is. It’s important to encourage them to research their options fully so they can choose the coverage that best suits their specific needs, but talking about the differences as well as the benefits is a wise choice Colorado real estate agents can make for their clients. Its always best to consult with an insurance professional and make sure they are advising rather than yourself. Individuals who love winter sports, especially skiing, have come out in droves to purchase great Colorado Springs real estate. 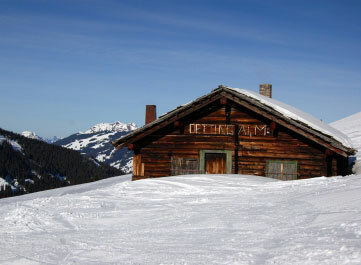 This allows them to be closer to the ski resorts, therefore saving money and enjoying the ability to visit more often. The 2012 spring skiing season has been a wonderful one, tempting ski lovers even more. There are numerous ski resorts for Colorado Springs residents to choose from, and each one has their own unique features and draws. The Arapahoe Basin Ski and Snowboard Area, established in 1946, offers a summit elevation of 13,050 feet as well as over one hundred carved trails sure to please. The Eldora Mountain Resort is another crowd pleaser, with top elevation at 10,800 feet and 680 acres of “skiable terrain.” They also offer the difficult double black diamond trail, Corona Bowl. This is just a few of many, many wonderful ski options near Colorado Springs. Another important factor that has added to the increase of home purchases in Colorado Springs is that there’s a home for every budget. For instance, in Northwest Colorado Springs, the average home price is about $268,850 while the Northeast Colorado Springs area boasts an average home price of about $206,463. Those looking for a more affordable home have taken advantage of Eastside Colorado Springs’ home price average, which is about $173,775. The average is even lower in Central and Downtown Colorado Springs, at about $141,448. Statistics show that individuals are purchasing homes more quickly this year than last, and a lot of that could potentially be due to the great ski season. For instance, in Eastside Colorado Springs in February, homes stayed on the market an average of just 118 days. In the Central and Downtown area, the average was just 92 days on the market and in the Northeast are, just 91 days. The lowest average is for Northwest Colorado Springs, where the average number of days a home has been on the market is just 55. Within 100 miles in nearly every direction, there is a plethora of ski resorts and areas to choose from. Avid skiers have the ability to drive to a ski resort in just over an hour, so there’s no need to purchase a nearby hotel room or plan an all-day drive. This also allows those ski fans to visit the resort of their choice more often, so they can get in all the ski or snowboarding time they want. Living near a number of ski resorts allows individuals to save a lot of time, a lot of money, and certainly enjoy themselves a lot more often. Those who love outdoor winter sports like skiing and snowboarding should consider Colorado Springs as a great place to purchase real estate. Numerous benefits as well as beautiful homes combines to create the perfect home for the winter outdoor enthusiast. 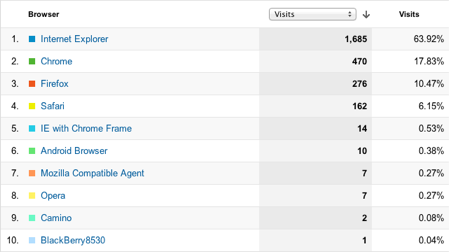 We love our users in Colorado and we do our best to please them. Since our launch about a year ago we have added multiple features to our product, most of them at the request of our users. One feature we did not expect to add was spell checking. We prefer modern browsers such as Chrome, Firefox and Safari, which include spell check. However, we did see the value in spell checking entire DORA CREC contracts at one time as opposed to just one field or tab as the browsers currently do. More importantly Colorado Real Estate Agents were begging us for this feature and most of our users prefer Internet Explorer by an overwhelming amount. 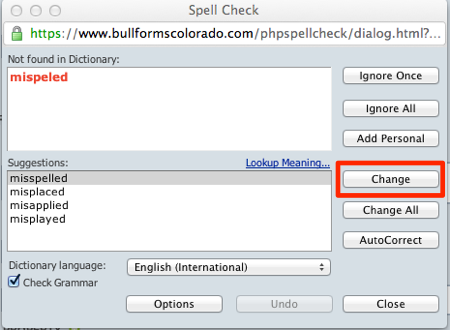 As we continue in our quest to become the default DORA CREC Contracts generator for Colorado Real Estate Professionals we have added the ability to spell check your entire contract by clicking on one button. Clicking on this button from within a contract will bring up the spell check and will check the entire contract. A window will pop up and the interaction should feel similar to what you are used to with your word processors. If there are any misspellings in your contract, it will appear in the top window, along with suggestions for the misspelled word in the bottom box. If you would like to change the word, click on the change button. You will then be taken to the next misspelled word in your contract, if there are any. Hopefully you enjoy this new feature. As always, please let us know if you have any other questions or concerns. To learn more about our DORA CREC Contracts Form Solution, click here.